Chris Skidmore, Minister of State for Universities, Science, Research and Innovation had a packed agenda when he visited Middlesex this week. The Vice-Chancellor, Professor Tim Blackman and his team used the opportunity to talk to the Minister about commuter students, widening participation and the ongoing Government review of post-18 education and funding. The Minister was particularly keen to find out more about fast-track two year degrees. To help him get a real insight the MDX team arranged for him to meet two students who opted for accelerated study, Paulo Manso who graduated last year and Taniya Ali who is in her First Year. "Middlesex University is committed to developing more choice in higher education and has long worked with employers to design new and innovative pathways that lead to successful graduate careers, including our Fast-Track BA Honours Degree in Business Management. As part of a diverse portfolio of pathways, accelerated degrees can extend student choice and create the opportunity to fast track into the workforce, but they are not for everyone. While saving on costs may be an attractive option for some, the demands of intensive study mean students must be very focused and will have less time for part-time work or caring responsibilities. We have found that their particular appeal is for highly motivated students seeking employment in a specific industry. "For universities, the overall cost of providing accelerated degrees is similar to a standard degree as their quality and content must be comparable, and some students will want to switch track between an accelerated and standard route through the same programme. We therefore very much welcome measures to ensure that these programmes are properly resourced." After hearing from academics and students about fast-track degrees it was time to experience some of the cutting edge teaching methods that MDX teams use every day. 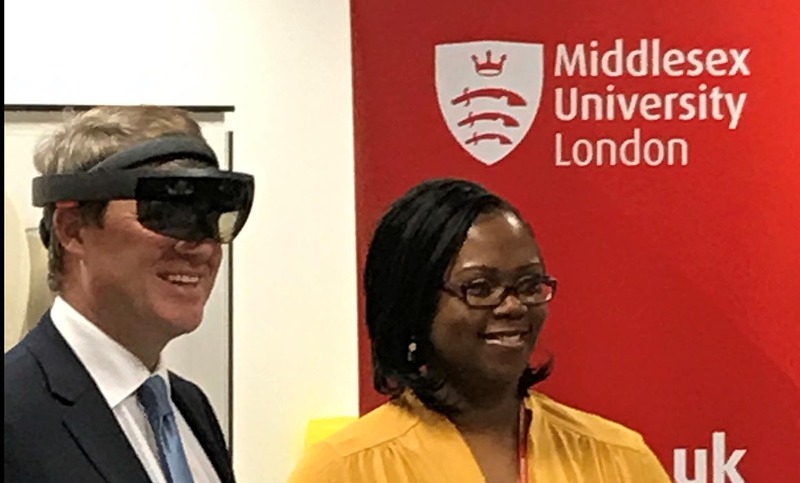 The Minister was given a demonstration of the augmented reality equipment that nursing and midwifery students have recently incorporated into their studies. As part of Middlesex’s strategy to offer a wide portfolio of study options the MDX Nursing leadership team talked to the Minister about the University’s innovative course to develop Nursing Associates through apprenticeship funding and the BSc Nursing programme for overseas nurses. 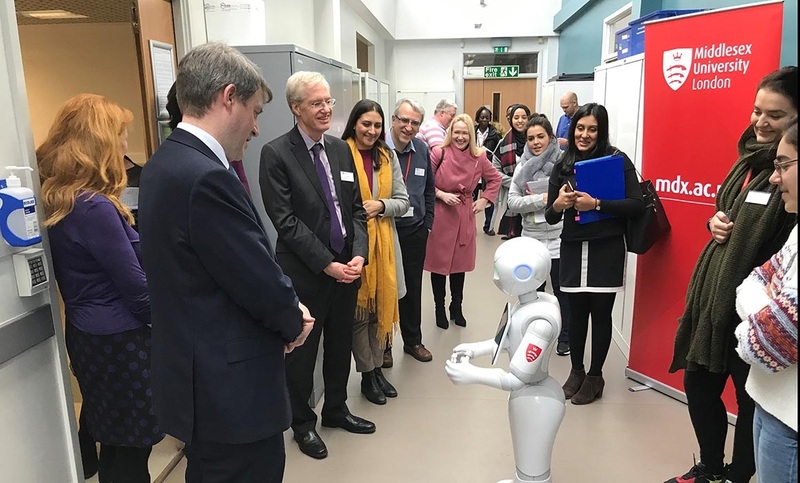 No visit to Middlesex is complete without a hug from Pepper and the Minister seemed delighted to meet the robot.